Printing Archives - Informs Inc.
As companies look for ways to create more customized and branded packaging, color label printing has grown in importance. Use of color has also extended to barcode printing – designers want their packaging to make a visual impact, without having to accommodate a strictly black and white barcode on the box. However, color barcodes come with caveats – if you use the wrong color combination, the code will be difficult (or impossible) to scan. When choosing colors for your barcode labels, you have to take in the barcode scanner into consideration, along with barcode spacing and contrast. Some scanners, like Honeywell’s Xenon 1900 Color area-imaging scanner, utilize ColorFusion Technology which allows color images to be captured, even at high contrast, without sacrificing performance. However, many general purpose scanners lack the technology required to get a good read, so you’ll need to ensure that you are designing color barcode labels to overcome the challenges of contrast and color combination. Contrast is critical. If there isn’t enough contrast between the bar code and background, most scanners will have a difficult time reading the barcode. Those failed scans can cause costly problems down the road. Laser barcode scanners use a light source that operates in the red portion of the color spectrum. Because of this, these scanners have difficulty with the colors red and yellow (red essentially shows as “white” to these scanners). Laser scanners will have an easier time reading barcodes that are printed in dark colors with a high contrast compared to the background color. The lower the contrast, the harder it is to scan the code. This is why most barcodes are printed in black and white; that combination provides the highest level of contrast. For companies that want to add more color to their packaging, there are a few simple rules to follow when selecting a color combination for barcode labeling. Make sure you select colors that are compatible with the barcode scanners you are using, and always keep contrast in mind. Examples of Good Color Combinations: The best combinations for barcodes include bars that are dark blue, dark green, dark brown, or black, and backgrounds that are white, or in the yellow or red spectrum. Remember, laser scanners identify red as white, providing a colorful background option that won’t affect contrast. Examples of Bad Color Combinations: Poorly designed color barcodes include bars that are white or in the red or yellow spectrum, or backgrounds that are too dark, or in the blue or black part of the spectrum. There are other factors to consider as well. When designing your barcode, do so with CMYK and reference a color management system (CMS) to assure a quality reproduction of the desired color for the labels. In addition, avoid labeling materials that are reflective. Even a slight reflection on the label can affect contrast, so make sure you select labels and overlays that won’t cause scanning issues. And make sure there are a few millimeters of space around the entire code (sometimes referred to as a light zone or quiet zone) to help ensure reliable scanning. This area should be free of text, marks, or other printed items. The quite zone should be a minimum of 10 times the width of the narrowest bar of a linear barcode, or one cell width on each of the symbol for 2D barcodes. The quite zone allows the scanner to see the entire code. Make sure you test the barcode label with different scanners to make sure it will be readable both in your own facility and for downstream supply chain partners. As long as you follow the basic contrast rules (dark colors for the bars, light colors or red for the background) you should be able to produce an attractive and readable color barcode. Make working smarter, not harder, your New Year’s resolution! Informs and Honeywell can help you achieve this goal with the newest innovation in printing solutions – Honeywell Smart Printers. By integrating the functionality of a personal computer into a Smart Printer, businesses are able to boost productivity, reduce operating costs and improve accuracy. Informs brings you Honeywell Smart Printing technology, where the “intelligence” of a computer is actually inside the printer, completely eliminating the need for a connected PC. Smart Printing utilizes the memory and processing capabilities of advanced printers to connect to and control devices, run printing operations and integrate with enterprise systems. This is all accomplished independently, without requiring a network connection to a separate host computer. This truly sets Smart Printers apart from standard models. Smart Printers run software applications and function as a programmable logic controller to other devices, such as scales, scanners and label applicators. Many Smart Printers provide software connectivity options to enterprise systems, essentially removing the need for middleware or custom interface development. Plus, Smart Printers are easier to install and quite simply, smarter by design. Self-management is another invaluable attribute of Smart Printers. This enables the printer to: 1) monitor print quality, 2) automatically adjust bar code position to accommodate a failing printhead and 3) provide troubleshooting instructions to the operator when self-correction is not available. In high-volume, automated environments where downtime is not an option, Smart Printers that are compatible with enterprise device management systems are not only a bonus, but a must. By eradicating the need for additional PCs and cables that require installation and maintenance, the simplified system architecture of Honeywell Smart Printers significantly lowers your total cost of ownership. And with more onboard memory than computer-dependent printers, Smart Printers speed up common maintenance tasks and maximize workflows. The bottom line – your New Year’s resolution to implement Smart Printing into your daily operations will help you lower IT, networking and support costs, simplify routine tasks and streamline overall printing processes. Now that’s the way to ring in a new year! Let’s recap the numerous advantages of Honeywell Smart Printers. Operates independently from a host computer. Acts as a programmable logic controller for peripheral devices, such as scanners, scales and keyboards. Drives databases that automatically include product codes, unit prices, customer ID numbers and the like in the printed output. 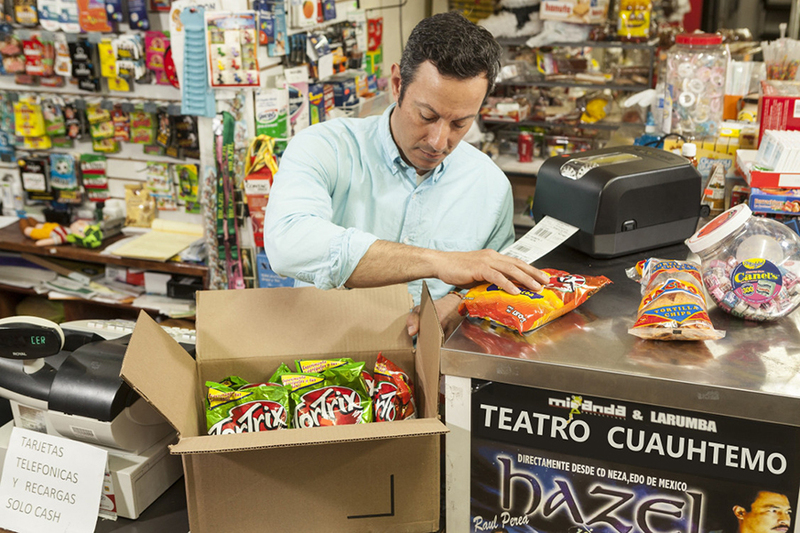 Processes multiple transactions, executes payment and runs standalone apps. Connects instantly to scales, bar code scanners and other peripherals. Formats variable data input into information on printed labels, receipts or documents. Functions in mobile environments where wireless networks and host devices are not available. Offers self-diagnostic, troubleshooting and remote management capabilities. With a variety of Honeywell Smart Printer models available, Informs can help guide you to the perfect Smart Printing solution. At Informs, we have the knowledge, training and expertise to guide you through the process of implementing Smart Printing technology into your organization. Contact us today for a FREE hands-on demo of one of the smartest decisions you’ll make this year! 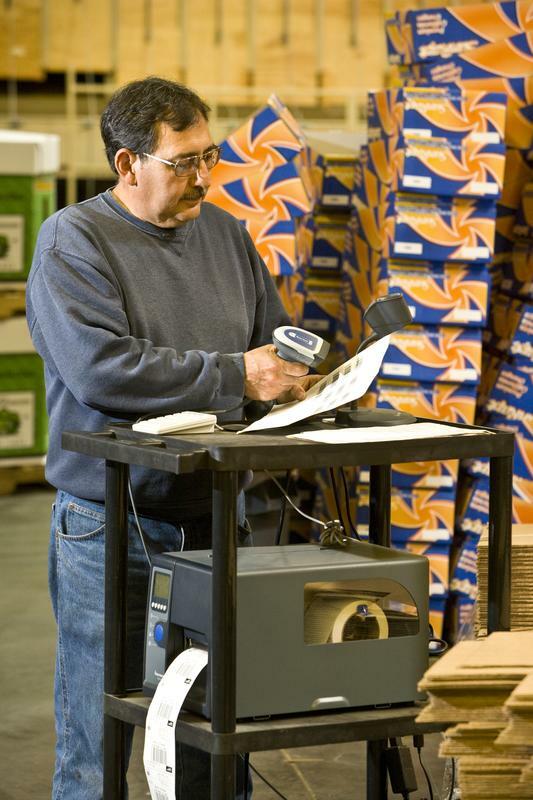 You rely on your thermal printer to reliably produce high-quality barcode labels and tags. Are you consistently getting the results you expect? Is the print too light? You could try slowing the print speed, but then you’re compromising productivity. The real problem might be that you’re not matching the supplies to your printer. Imagine you’re driving a high-performance car. Would you fuel it with low-octane gasoline? Not if you want it to last. You have hundreds of choices of media and ribbon combinations for your thermal transfer printer. You match the media to your application, like exposure to abrasives, moisture, and extreme temperatures. Are you also matching supplies to your printer? 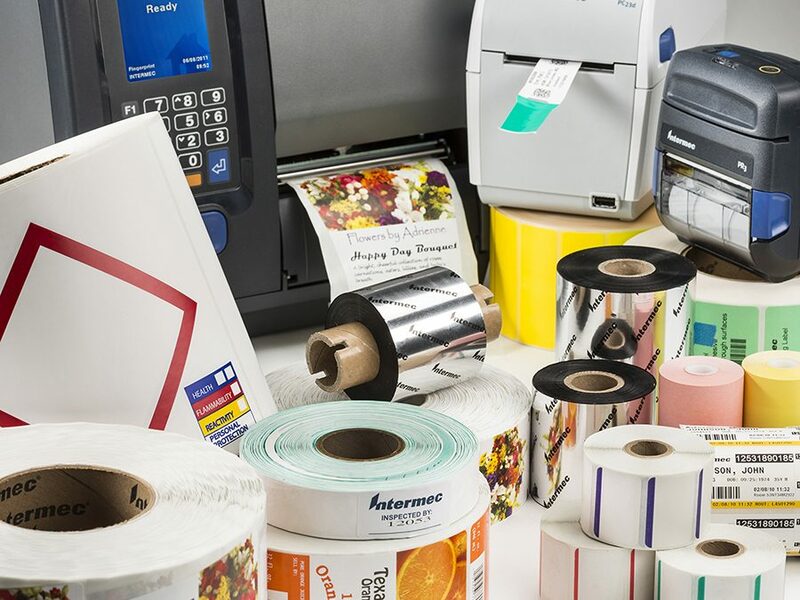 When you choose the appropriate supplies, you optimize the print quality and reduce waste—like downtime and the expense of replacing supplies and reprinting labels. You also prevent the printer from running at extreme pressure and darkness settings. For example, when you’re running your barcode label printer at high speed, you won’t get the best results with a ribbon that isn’t designed for that level. While you invest time in adjusting the settings, you might do better to first switch to a wax, resin, or wax/resin ribbon (depending on your application and needs) that is engineered for higher speeds. Zebra offers thermal transfer ribbons in varying grades to handle your printer speed. The 5319 Performance wax thermal transfer ribbon has been tested and approved for speeds of up to 8 inches per second (ips). If you need a wax ribbon to handle speeds of up to 12 ips, choose the Zebra 2000 High-Performance wax ribbon. The total cost of ownership of your thermal printer is much more than the purchase price. You should factor in the supplies and maintenance to get an accurate TCO. When you use inferior supplies, you save money on one end, but spend at least that much (probably more) in printer downtime, unnecessary repair, IT time, and the expense of replacing those subpar thermal printer supplies. Contact Informs to ensure you’re getting the right supplies for your thermal printer and applications, so you also optimize the TCO. 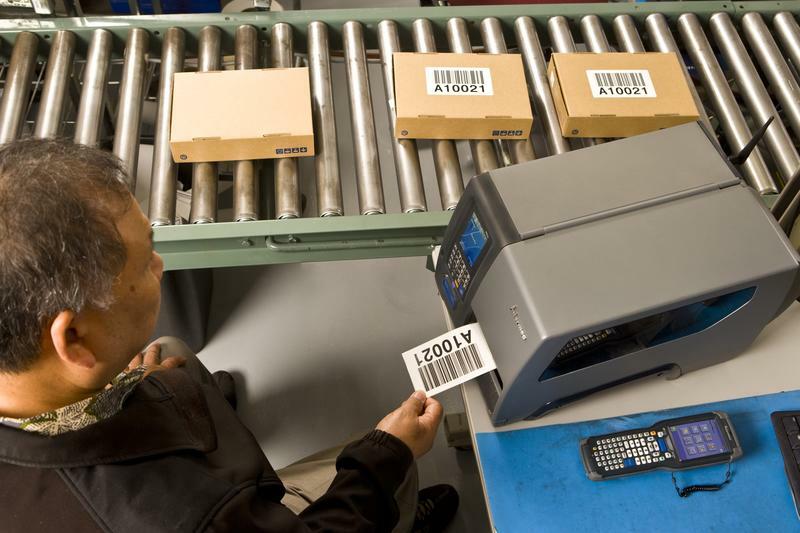 Your barcode labels elevate your operational efficiency. The data encoded into the little symbol can be used to expedite accurate picking and shipping, prevent product tampering and counterfeiting, tighten inventory control, minimize the impact of a product recall, streamline audits, and give you real-time visibility into your enterprise data. You get all that with one small label. Choosing the right combination of barcode label size and print resolution is critical to ensuring your labels deliver on all counts. The print resolution reflects the number of dots per inch (dpi). The higher the dpi, the sharper the definition of the image. Thermal printers range from 203 to 600 dpi. The smaller the label, the higher the resolution you will require to produce a scannable image. Micro-labels are used to identify tiny components, like those in electronics and medical devices. For these labels to be easily scanned, the micro-label requires high resolution and tight registration. A 600 dpi thermal printer is essential if you are producing barcodes that are less than .25” x .25”, fonts that are less than 10 point, or regulatory symbols or text that is smaller than 6 point. Zebra, the worldwide leader in thermal print solutions, manufacturers a complete portfolio of barcode printers. They’ve just introduced the ZT600 industrial printers, a series that replaces the gold standard set by the Zebra Xi4 series. The ZT600 is designed for heavy-duty performance in a harsh environment, like a manufacturing facility or warehouse. The ZT610 prints 600 dpi on labels as small as 3 mm. Other Zebra industrial printers, like the ZT410, offer the option of high-resolution printing. For larger barcode labels—like shipping labels—203 dpi resolution will suit your applications. The video below from Zebra Technologies offers additional tips for choosing the best print resolution for your application. If you’re not sure of the best label size and print resolution, talk to us at Informs. We’ll help you understand your choices so you get the best match. Industrial label printers are necessary for high volume barcode and label printing because they are built to withstand rugged conditions and harsh environments such as those found the typical manufacturing facility. 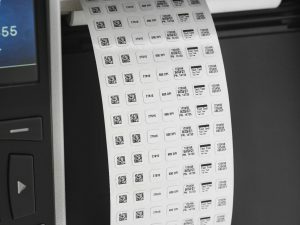 Most manufacturers are printing a large number of labels for inventory tags or asset management, so they need a robust barcode label printer that can stand up to the volume as well as the environment. If a printer is not designed to withstand dust, debris or rough handling, it will not be able to stand up to the demands of an industrial, high-volume environment. Here are 8 factors to consider when choosing a barcode label printer for use in a manufacturing or warehousing facility. Time is the one resource you can never regain once it’s gone, so manufacturers need quick deployment and easy configuration to minimize downtime when setting up a new industrial label printer. Quick deployment usually means user-friendly, so you can be assured that training time is minimal and integration is fast and easy. The high-volume duty cycle in most industrial applications means that reliability must be a prime consideration. Downtime can be costly, and to have to hold up production while the printer is being repaired can mean the difference between happy customers and lost business. Look for proven reliability when doing your research. Most industrial environments are dirty, dusty, hot, wet or all of the above. To survive, an industrial barcode label printer should be designed to function well in adverse conditions. It must be built for high-volume use, with a rugged design to handle plenty of throughput and multiple users. 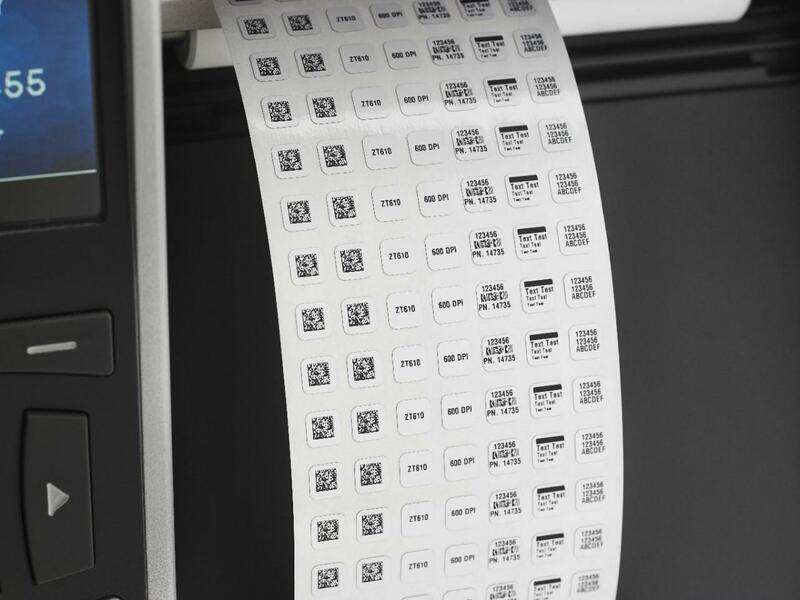 Most industrial applications equal heavy volume—hundreds or thousands of labels and tags must be printed every day, without interruptions or failures. The right industrial label printer should be capable of printing at a speed of 12 dps to meet the demand; with print quality to match. No two industrial deployments are the same, and most environments undergo constant upgrades and changes. Select a printer with multiple connectivity options, including USB, Wi-Fi, Ethernet, universal standards and more. Also look for remote management capabilities and multi-lingual management options since most manufacturing operations are melting pots of languages. Space is always at a premium in manufacturing, warehousing and other industrial environments, so many industrial printers are available in multiple form factors so you can find one that meets your needs. You also want a printer that can handle multiple label sizes and materials so you don’t have to deploy multiple printers to handle large and small labels, or paper and foil labels for example. While barcode labels are the most common for data collection today, RFID is gaining ground in many manufacturing and warehouse environments for further increased productivity and greater accuracy. With technology evolving as fast as it does, consider an industrial label printer that is RFID capable. The ideal choice might be one that is capable of simultaneously encoding and printing frequency-agile RFID tags. Touch screens, color screens, screens visible in low light conditions or under bright lights and a multi-language interface should all be on your must-have list. And be sure to partner with a provider who can walk you through the various options available and help you determine which attributes and options are best suited to your unique requirements. For more information on the world of industrial printers and help to determine if your existing solution is making the grade, contact us today to schedule a warehouse walk-through.